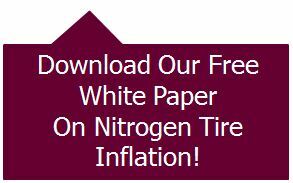 We’ve touted a lot of nitrogen tire inflation benefits, and rebutted our share of nitrogen tire inflation myths. Although we support the practice of nitrogen-filled tires, it’s not the most perfect thing in the world, and it has its advantages as well as its disadvantages. It seems that a lot of folks are either on one side or the other, without strong consideration of the arguments on both sides. Here’s a list of those advantages and disadvantages of nitrogen tire inflation, so people can make an informed decision about the practice, instead of relying a collection of conflicting resources. Nitrogen-filled tires have a longer life because they don’t have the corrosive properties that come with air-filled tires, mainly the oxygen and the water vapor. Not only does oxidation ruin the rubber in the tire, but both the oxidation and the water vapor can affect the aluminum and steel wheels on the inside. 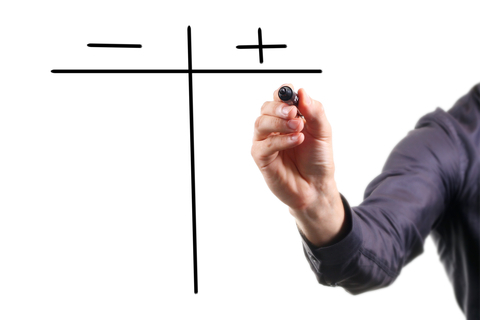 Nitrogen doesn’t make a difference if you run over a nail. Some will argue that because it doesn’t matter what’s in your tire when it has a hole and its going flat, that there’s no reason for nitrogen tire inflation. No, nitrogen won’t help you in this case, and we don’t know of any nitrogen tire inflation company or dealer (certainly not us) who will say that nitrogen will negate the consequences of running over a nail. Nitrogen-filled tires won’t help you in a fiery crash, and once again, no legitimate nitrogen tire inflation company or dealer will say otherwise. We only mention this disadvantage because it was mentioned in an article that said nitrogen-filled tires were a scam, and might believe that dealers are using this argument as a selling point. The author might have been confusing an advantage of nitrogen, where tires will run cooler and are less susceptible to temperature changes (so there’s less chance of a blowout or of inaccurate readings when topping them off). However, in a fiery crash, nitrogen-filled tires won’t mean all that much. Nitrogen tire inflation doesn’t eliminate the need for regular pressure checks and tire maintenance, nor will they never ever lose pressure again. With nitrogen, you might not need to top them off so much, but you don’t fill up your tires with nitrogen and forget about them. No nitrogen company or dealer will ever suggest that nitrogen tire inflation is a replacement for checking your tire pressure, or that your tires will stay inflated at proper tire pressure forever and ever.